Running at a maximum speed of 20 feet per minute with 4" heat rollers, the Spire III 44T machine is fast and retains heat better for longer runs. Even beginners will find the Spire III easy-to-use with a user-friendly control panel and auto grip, easy-load supply shafts for no-hassle film loading. 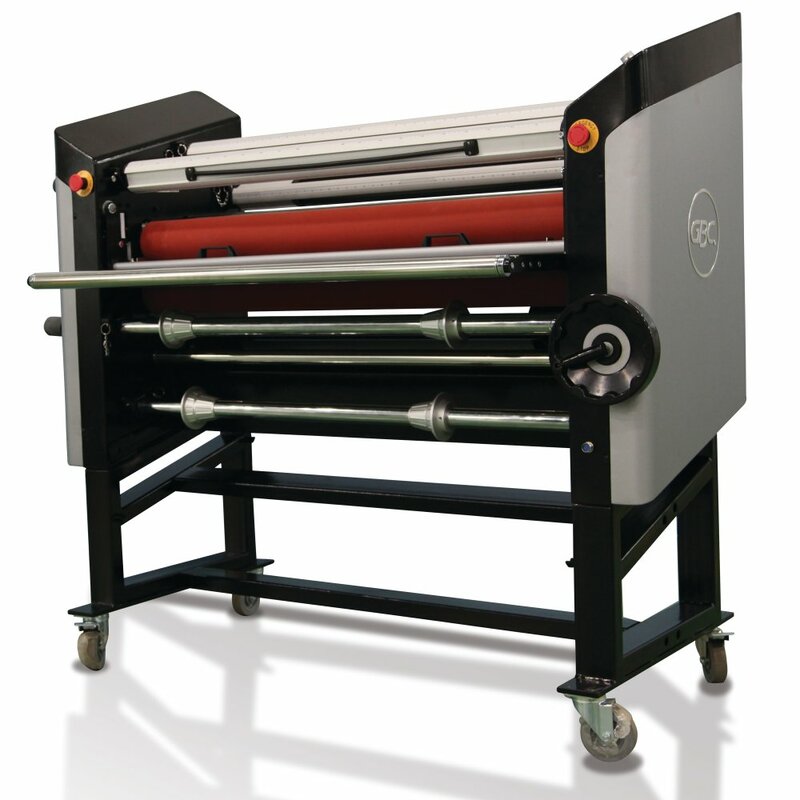 Designed with an eye for increasing versatility, a 2" mounting gap allows for mounting of thicker substrates while optional unwinds and rewinds and roll-to-roll capabilities can be easily added later. Dimensions: 61.5" X 31.5" X 55.9"